We are into the home stretch of July and hopefully by now you are enjoying the beautiful Plainfield area summer. The weather has been fairly ideal here, so maybe you don’t want to travel north to freeze or south to sweat. Travel can also become expensive and challenging on a family budget. What if you used that budget to make some modifications to the outside of your home that will always be there, instead of a one-time experience? This might be the perfect time to prepare your home for a stay-cation. 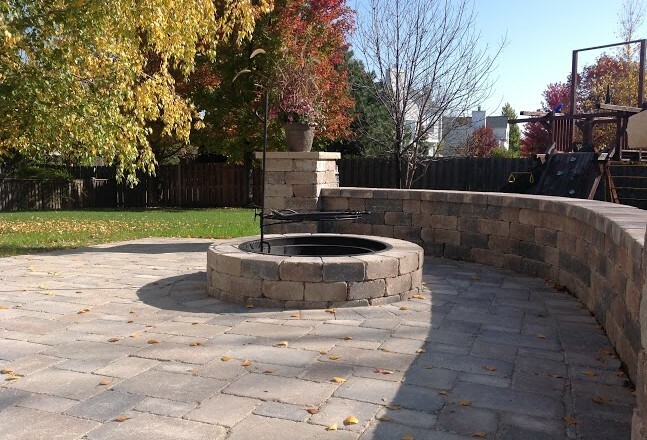 Fire Pit – A built in fire pit can be an elegant addition to your patio. It looks nice and gives you, and your family and friends an ideal way to enjoy the mild weather. A fire pit can be a great place to gather for wonderful summer evening conversations. Enjoy your home stay-cation with a campfire feel, and zero travel. Aquascape Pond – An Aquascape pond can add a wonderful, rustic, nature feel to any Plainfield back yard. The look of the pond can provide an excellent backdrop to any time spent on your patio or in your yard. A Plainfield-area landscaper can help you figure out what is the right size and design for your yard. Patio – Do you have a deck or patio that is falling apart or losing its appeal? An elegant stone patio is an inexpensive way to enhance the look of your backyard and home. It expands the usable space of your home and can be an ideal gathering spot for a stay-cation. Outdoor Kitchen – An outdoor kitchen is another way to extend the usable space of your home. On those hot summer nights, it is a great way to keep the kitchen comfortable and not have to turn the indoor oven on. It is a great alternative, and great for summer gatherings, and or stay-cations. Are you looking to make your home a bit more stay-cation friendly? 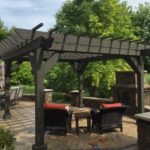 With a few modifications, you will be able to enjoy the summer weather immensely from your own back yard. Contact a Plainfield area landscaping company and we can help make your home enhancements a reality.